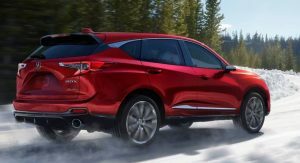 Acura might be calling the 2019 RDX that will premiere in Detroit next week a prototype, but as you can see for yourself in these first official images that surfaced on YouTube, the SUV is 99 percent production ready. 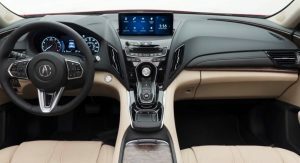 At a first look, the only elements that might be toned down a notch or slightly differentiated when the RDX goes on sale later this year as a 2019 model, appear to be the bottom half of the front- and lower part of the rear-bumper, and the door mirrors. Everything else looks normal. 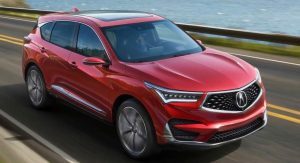 The Honda-owned brand vowed a dramatic restyling for the new generation RDX, boldly stating that it represents “the most extensive Acura redesign in more than a decade”. 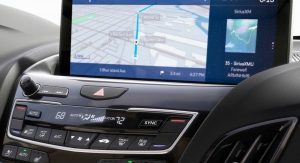 We got a conceptual taste of Acura’s new (beak-less) design language from the Precision Sports Sedan and Precision Cockpit studies in 2016, with the 2019 RDX being the first model to implement the styling. 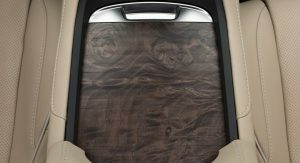 It definitely has a sportier silhouette and a more sculpted body with more playful detailing on the outside like the (Lexus RX meets Mazda CX-5 and Chevy Bolt) rear quarter window v-point and muscular hood, but it’s not like you can’t tell it’s related to Acura’s latest crossovers. 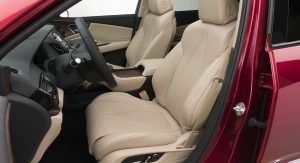 Inside, Acura built on the MDX’s styling taking it to the next level with more modern and sporty elements for the RDX. 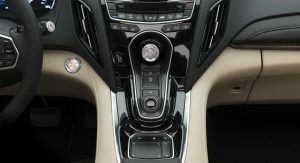 These include the round center hub on the redesigned steering wheel and the elevated lower console that slickly connects to the center console that now hosts a standalone screen for the infotainment system controlled by dial and a touchpad below. 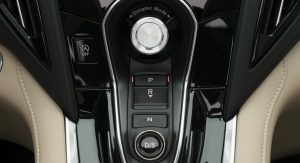 One thing we’ll say is that the Japanese brand doesn’t seem to be following the button-less trend seen these days (mainly) on European models. 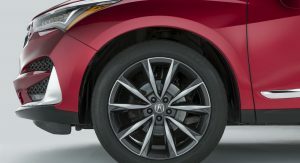 We haven’t confirmed the premium compact crossover’s powertrains yet, but in all likelihood, we’ll see a version of the 2.0-liter turbocharged four-cylinder found in the 2018 Honda Accord 2.0T where it develops 252hp and 273 lb-ft (369 Nm) of torque paired to a ten-speed automatic transmission. 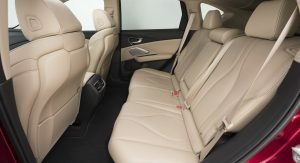 A hybrid version could join the range after the regular RDX’s market launch. Stay tuned for the official presentation of the 2019 Acura RDX Prototype at the Detroit motor show on Monday. Thanks to Eriquin Gu for the tip!